Andrew Cunanan has become sort of an infamous legend as his story is being shared with the world in FX television’s series, American Crime Story: The Assassination of Gianni Versace. In 1997, the infamous killer was the 449th member of the FBI’s Top Ten Most Wanted list. 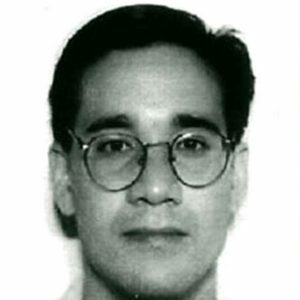 Andrew Cunanan was born of a Filipino American and Italian American parents. During his early childhood, Andrew was considered an intelligent and outgoing boy. As he aged, he began to develop a reputation as a pathological liar. He would tell tall tales about his family and personal life. When Andrew was 19, his father left his family in an effort to escape embezzlement charges. It was then when he told his mother that he was gay. Andrew and his mother got into a verbal altercation, which later became physical when Andrew threw his mother against a wall, dislocating her shoulder. Andrew’s killing spree did not begin with rich white men, as it ended. His first victim was Jeffrey Trail on April 27, 1997. Trail and Cunanan got into an argument. This led to the belligerent bashing of Trail’s head and body with a claw hammer. He left Trail rolled up in a carpet in his friend David Madson’s apartment. Cunanan’s second murder occurred about 60-miles north of his first crime scene in Rush City, Minnesota. Andrew murdered his former lover, David Madson, on May 3, 1997. He executed David with multiple gunshots to the back of the head. It wasn’t long before Cunanan struck again. He drove straight to Chicago to visit Lee Miglin, a real estate tycoon. The very next day, Cunanan left Lee wrapped with duct tape around his head, hands, and feet. According to the reports, Andrew stabbed Lee over 20 times with a screwdriver and used a hacksaw to cut his throat. It was at this point the FBI added Cunanan to the Top Ten Most Wanted list. After taking care of Lee Miglin, Andrew began his descent to Miami. On his way, Andrew found his fourth victim, William Reese. Reese was Andrew’s most random murder. The likely reason for William’s death was that Andrew needed a car to complete his journey. Reese was shot to death and his red pickup truck was stolen. Between his fourth and fifth murders, Andrew hid in plain sight along the coast of Miami Beach for nearly two months. He would even pawn stolen items under his real name, knowing the police would search the records of pawn shops. On July 15th, 1997 Cunanan committed his fifth and final murder, the wrongful death of legendary fashion designer, Gianni Versace. Just a week later, Andrew Cunanan was found dead on the second floor of a Miami Beach houseboat. It appeared that Andrew had killed himself with the same gun he used for three of his murders. He did not leave a suicide note and was only found with a few personal items.